A user comes to the Facility: “I’ve got a set of 2 channels 3D images where objects are overlapping. I think the overlap might not be the same from object to object. 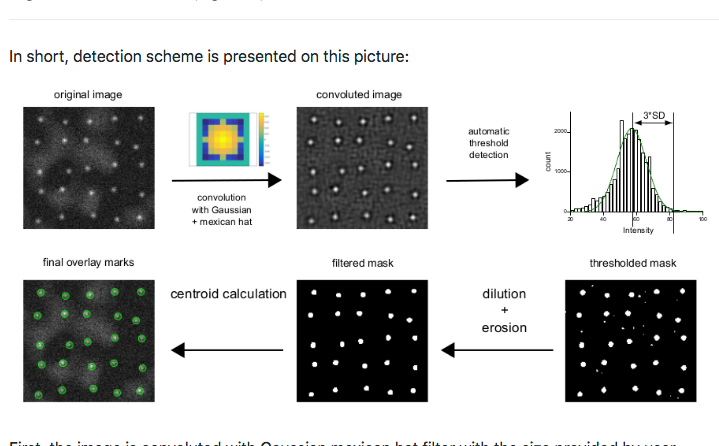 I would like to quantify the physical overlap and get a map of quantifications”. Your mission: write the appropriate macro, knowing a user might always change her/his mind, and ask for more… Ready to take on the challenge ? 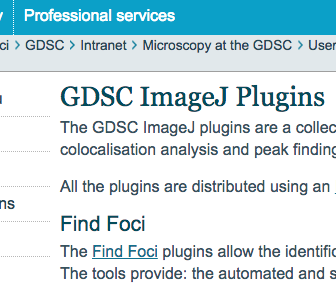 Quote: "The GDSC ImageJ plugins are a collection of analysis programs for microscopy images including colocalisation analysis and peak finding (FindFoci)." Many types of analysis besides simply finding foci detection (spot detection) is bundled in this plugin. One prominent function is "FindFoci Optimizer". 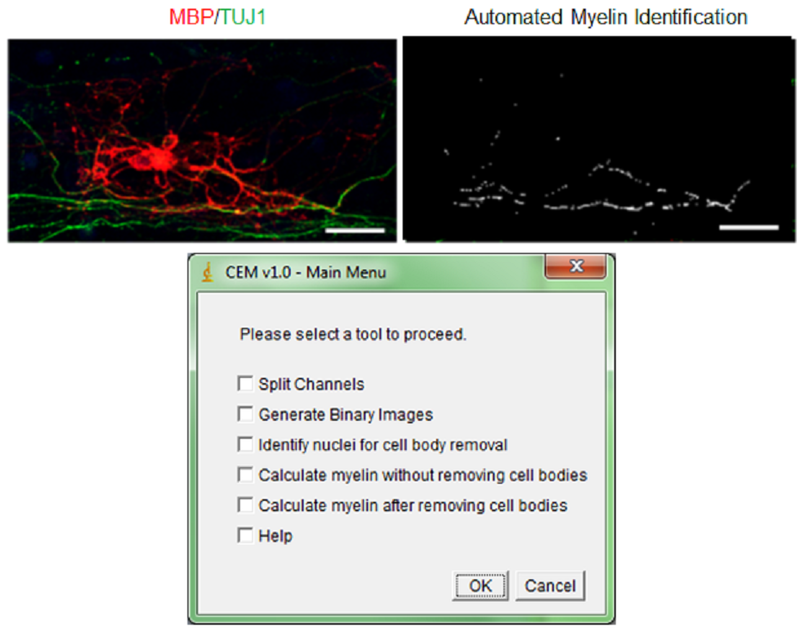 This allows feeding images with spot annotation by the user (multi-point selection tool) and scans through various parameter combinations to find the best parameter set that gives the results similar to the annotation. This is almost like machine learning... but with well-established parameter types that allows you to fully understand what is going on.